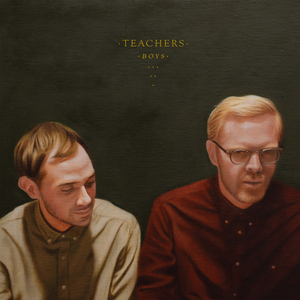 Some lovely vocoder pop courtesy of London duo Alexander Keefe & Joakim Kristiansen aka Teachers: actually real life teachers in fact. One of the guys released previously on WT as Tagwell Woods and the label claims that this "works at home or in the club." True that. This is convincing '80s synthpop from the machines right through to the methodology and recording techniques (it seems!) and even hints at taking influence from legends such as Erasure, Pet Shop Boys or Stephin Merritt's Magnetic Fields project. Comes with colour picture sleeve with photo realistic painting by Gabe Benzur.